Do you have a secret crush on someone? Do you get butterflies in your stomach when you see a special someone? Are you lacking the courage and the creativity to find out if they like you back too? If yes, you must try out the iOS app Yentle. This app will help you find out what your secret crush thinks about you in a very creative yet secret way. 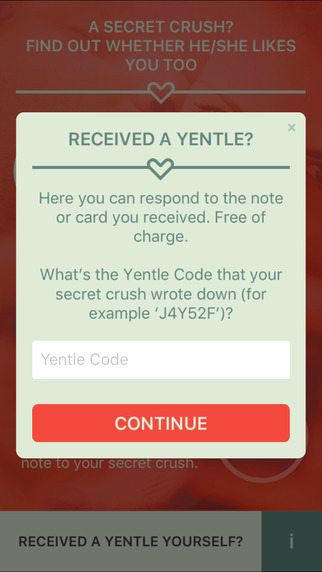 Yentle is an app that will help you find out if your crush likes you back or not. 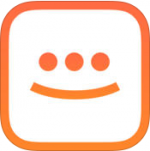 The app allows users to avail a Yentle code for a small fee. This code can be availed for free of cost on the Yentle website. This code is personalised for each person and is unique to them. Your only task now is to share this code with your crush. This could be done as a card, with flowers or in any way you like. Once you have sent the code across, the real fun and adventure begins. This is the beginning of finding out if your crush has a crush on you too. A lot can happen once your crush receives your Yentle code. 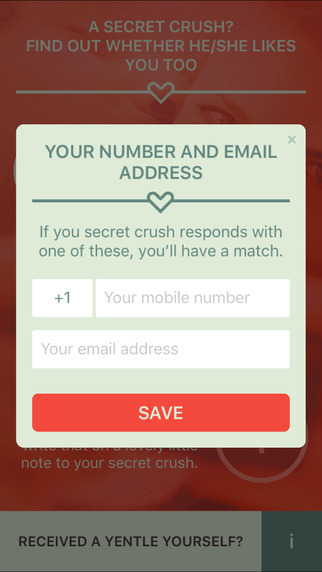 They then have to enter this code into the app or online to match up to their secret admirers. If the other side is interested in you too, you will receive a notification of a secret crush. You save yourself the embarrassment of being rejected to your face, while also adding a whole new romantic and secret twist to the process. If your crush is not interested, they will not know who sent the code originally. The app will keep your secrets safe and sound for you. Secret admirers can relish in the fact that a user can input only up to five people they like. Users are required to enter their phone number or email address to enable the matching process. If the match is rejected, your identity will not be revealed. Neither of the two sides will know about the identity of the other side until a match has been found and accepted by both sides. This provides you with a custom tailored experience of match making for this Valentine’s Day. It is up to you to pick people you like without hurting the feelings of the other side or breaking their hearts. 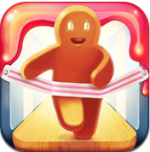 The Yentle app is available for free download from the App Store. 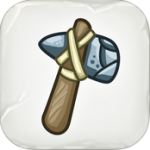 It is compatible with the iPad, iPod Touch and iPhone, requiring iOS 8.0 or higher versions. The app tackles the process of finding out if your crush has mutual feelings for you in a very creative way. You do not have to stay awake at nights anymore, wondering about the same and having hopes. If there is a match and sparks do fly, you are about to embark on an exciting and fun relationship with the person you have always wanted to. No more of visiting hundreds of public profiles to find the perfect date for your V- Day once you download this app.